It’s awfully hard not to love Seattle. Of course, most locals wish visitors didn’t love it quite so much, and that travel articles and guidebooks would play down this genial, stunningly situated city’s considerable attributes. The cost of living here has increased with Seattle’s growing popularity over the past two decades, and at times, the city can feel just a tad overcrowded. So don’t expect a ton of encouragement from locals if you casually mention that you’re considering a permanent move. If you’re merely planning a vacation, however, prepare for a warm welcome – and lots to see and do. This city sculpted by Puget Sound and Lake Washington and crowned with leafy hills abounds with lively diversions, both indoors and out in nature. And despite its considerable cachet and year-round popularity, Seattle offers superb restaurants, shops, and accommodations that work for virtually any budget. Downtown – with its dashing, postmodern skyline – contains a mix of enticing museums, historic blocks, and trendy retail-entertainment strips. The city’s many visiting gays and lesbians are often drawn to Seattle’s LGBT hub, Capitol Hill. Students, yuppies, latter-day hippies, and young families of all persuasions live in this lofty, leafy neighborhood a 20-minute walk or short cab ride east of downtown. Cutting-edge music, liberal politics, coffeehouses and microbreweries, computer technology, and environmentalism are among the ties that bind Capitol Hill’s disparate populations. The best way to enjoy Seattle is to set aside a few hours each day, and focus on a particular neighborhood and its corresponding draws. Start by touring downtown, with its landmark Pike Place Market, a sprawling 1907 structure abuzz with fishmongers and food marketers of every ilk. If you love to eat or cook, the halls of gourmet goodies are reason alone to while away an afternoon here. You’ll also find scads of genuinely interesting shops, including art galleries, bath and beauty shops, clothiers, jewelry and crafts makers, and indie booksellers. Other appealing attractions downtown include the Odyssey Maritime Discovery Center and the Seattle Aquarium, which are down along Puget Sound’s salt-aired piers, and the acclaimed Seattle Art Museum. A terrific feature along the waterfront is Olympic Sculpture Park, a breezy 9-acre green space laid out with dramatic, larger-than-life works of art. South of downtown, many of the buildings in Pioneer Square date from just after 1889, the year a fire destroyed the city’s wood-frame structures. North of downtown you’ll find the loft-style galleries, restaurants, and music clubs of Belltown, and beyond that, the 600-foot Space Needle ranks among the nation’s most distinctive buildings – you can take an elevator to the top for great views. The Capitol Hill neighborhood has few attractions, but several commercial pockets are excellent for shopping, club hopping, cheap dining, and people-watching. Pine and Pike streets hold many gay bars, plus some live-music halls and coffeehouses, and Broadway Avenue bustles with a youthful mix of straight and gay-popular businesses. Set aside some time to explore verdant Volunteer Park, home to an exotic-plant-filled conservatory, a 75-foot water tower affording panoramic city views, and the outstanding Seattle Asian Art Museum. If you have more time, check out some of the city’s enchanting off-the-beaten-path neighborhoods, such as Madison Park, with its gay-popular beach along Lake Washington, as well as the University of Washington Arboretum; the University of Washington-dominated U. District; and Fremont, an old hippie haven that’s now home to a mix of creative spirits and dot-comers. One theme that unites virtually all of the city’s most intriguing districts is delicious food – Seattleites take eating seriously, and restaurants here strive to feature local – often organic – cheeses, produce, seafood, meats, wines, and jams and honeys. Accommodations in Seattle include a high number of spirited, avant-garde boutique hotels. Among these, consider the playful, art-themed Hotel Max, a snazzy yet moderately priced hotel whose public areas and guest rooms feature the artwork of more than three dozen provocative Pacific Northwest artists. Loews Hotel 1000 with its minimalist, high-tech rooms has one of the best-rated locations in Seattle and is a magnet for fashionable travelers. Many of the city’s gay visitors would never think of staying anywhere but the whimsically decorated Hotel Monaco, an elegant yet cheeky boutique property with a Parisian aesthetic and highly personalized service (this pet-friendly place even has staff who will walk your dog). The Monaco is part of the “family”-friendly Kimpton Hotels company, which also operates such inspired Seattle retreats as the plush Alexis Hotel and the wine-themed Hotel Vintage Park. W Seattle brings about an amazing sense of style, on top of its first-class service. Located within close proximity to all of Seattle’s must-see spots and also home to critically acclaimed restaurant Earth & Ocean. Right across the street from Pike Place Market, the contemporary Inn at the Market has the ambience of a French countryside inn. Many of the 70 good-size rooms have unobstructed views of Elliott Bay. A more affordable but still hip option is the Ace Hotel, a fun and frugal, Euro-inspired lodging with 23 futuristic-looking rooms – it’s one of the best, and gay-friendliest, bargains in the Pacific Northwest. The Gaslight Inn is the best of several gay-friendly B&Bs on Capitol Hill, which is saying a lot, as there are several great ones. The turn-of-the-century house has Arts and Crafts furnishings, Turkish and Persian rugs, and oak paneling. The all-suite accommodations in the more contemporary building next door have large sitting areas; several also have gas fireplaces. 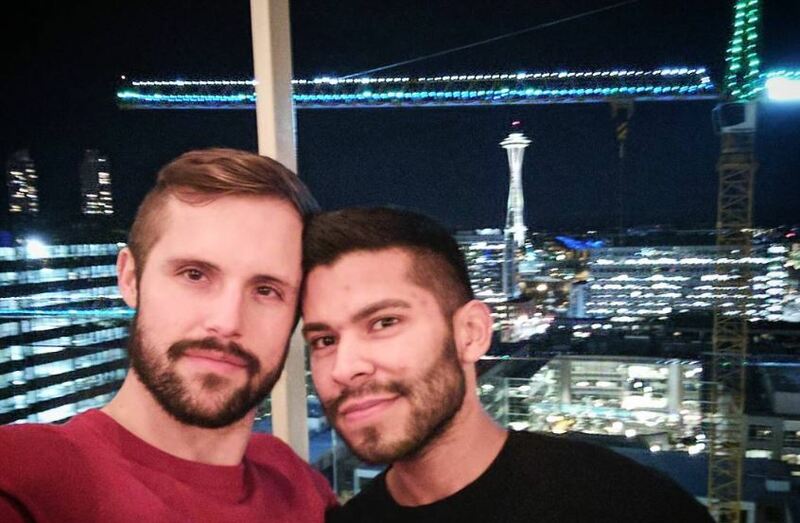 If you stay at the Gaslight, you’re particularly close to many of the city’s festive gay nightspots, which include R Place, great for dancing and drag shows; the cruisy Cuff Complex, which draws a masculine, rough-and-tumble bunch; and long-running Neighbours, Seattle’s top gay warehouse-style dance club. Lesbians favor the Wildrose, a spacious bar with DJs and dancing that’s been going strong since the mid-’80s.